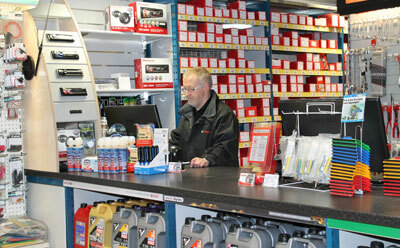 At Avondhu Motor Factors located in the town of Fermoy, North Cork we stock a comprehensive range of automotive parts, accessories and tools satisfying the growing demands of the motor vehicle industry. We employ a team of dedicated and loyal staff in all areas of our business. Up to the minute product knowledge, the latest technology and high speed operating systems help us offer the best possible level of advice, assistance and customer service. Listed below are some of the quality parts and accessories available at our shop, all of which are supplied by the leading brand names in the motor trade.